In her statements to a website, the woman has accused Rajkumar Hirani of 'violating her body' more than once. Twitterti are in shock to hear about filmmaker Rajkumar Hirani being accused of sexual harassment by a female assistant while shooting for Sanju. 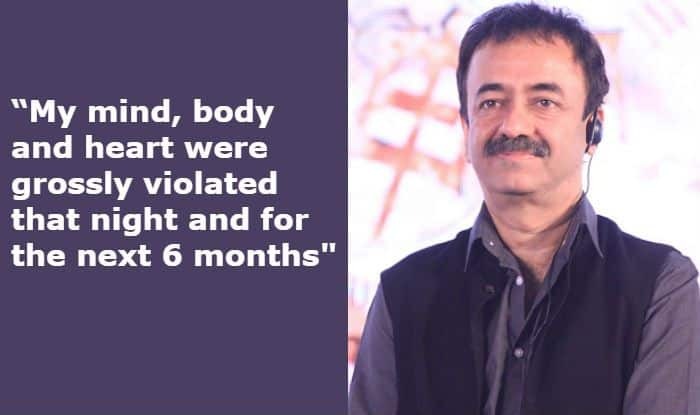 In a report published by Huff Post India, the woman has claimed that Hirani harassed her more than once over a period of six months between March and September 2018. People on social media have expressed their disappointment considering Hirani is known as one of the most respected filmmakers in the industry today. The bigger you get sadly the opposite of humble you tend to be. This is not looking good. We need people who show good examples not like this. Going for movies is not even making sense now. Didn't expected this from #RajkumarHirani @RajkumarHirani , one of my favourite!! Here’s what the complainant said in her statement to the website, “I had no choice but to be polite to him. It was unbearable but the reason I endured it all, until I couldn’t, was because I didn’t want my job to be taken away from me, and work to be questioned. Ever I was worried that if I left midway, it would be impossible to find another job in this industry if he were to speak badly about my work”.